….and I could say, it was massive. 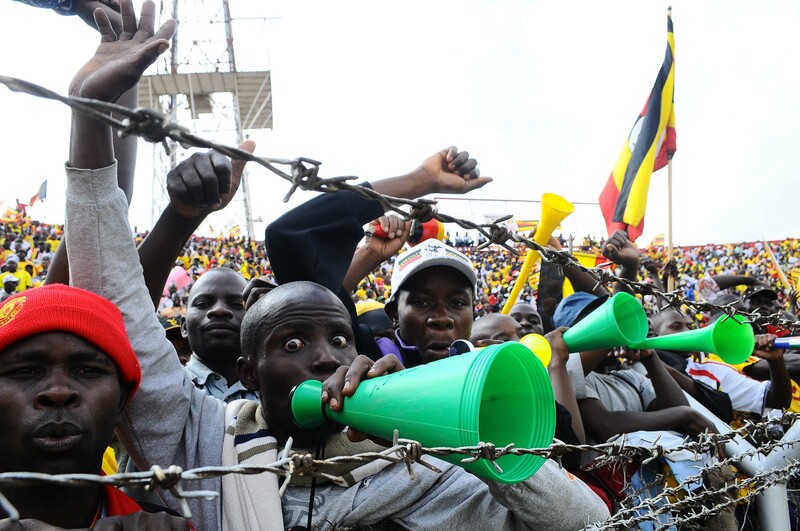 Imagine, the Kenyans taking over half of Namboole’s parking yard. That would literally mean, half the stadium would be foreign. 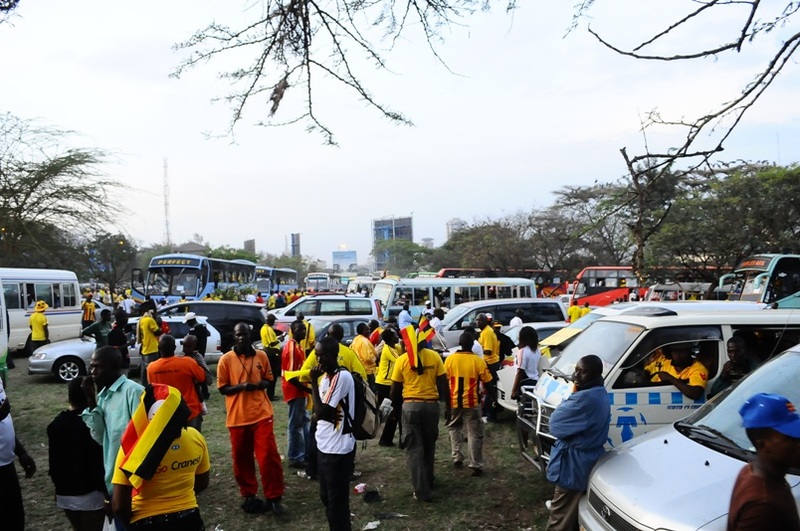 One side of Nyayo National Stadium parking was allocated to Ugandan fans and it was full with nothing but yellow. 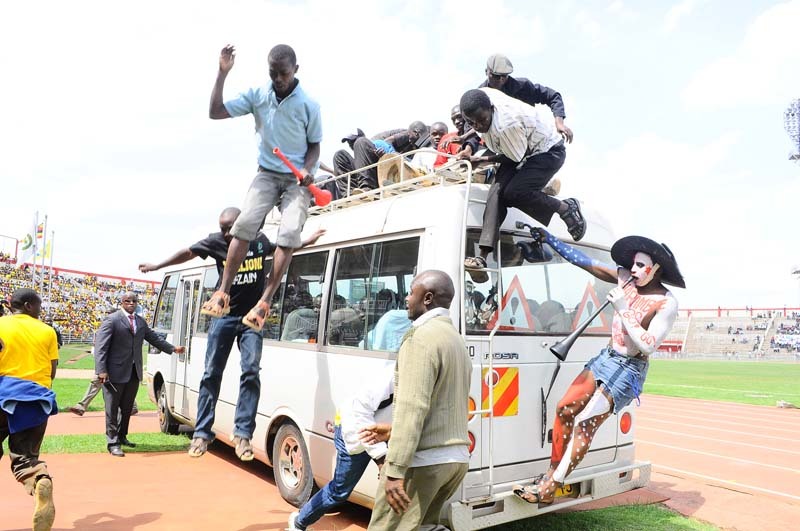 Buses, minibuses, matatus, personal cars…name it. 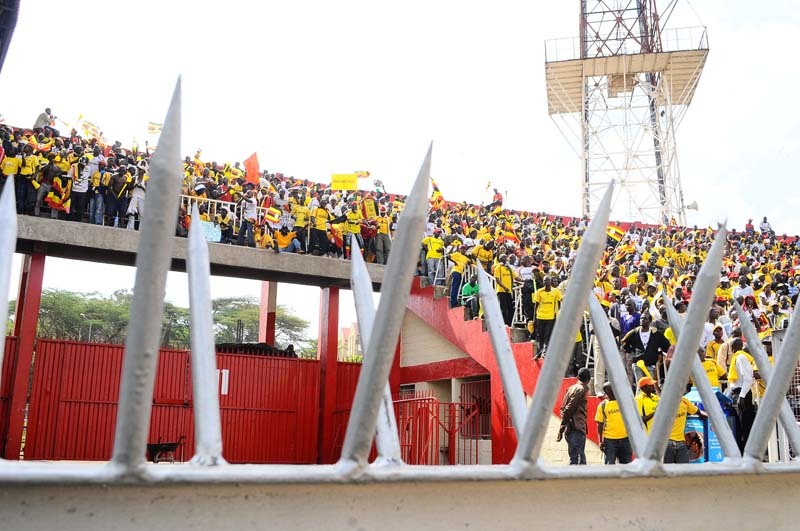 Hundreds more with both VIP and ordinary tickets failed to get seats and were locked out. KBC apparently broadcasted the game. Hope they opted for that option. From my observation, we hard more Vuvuzelas. And gosh, the guys had fun. Not with Uncle Money drumming the support. 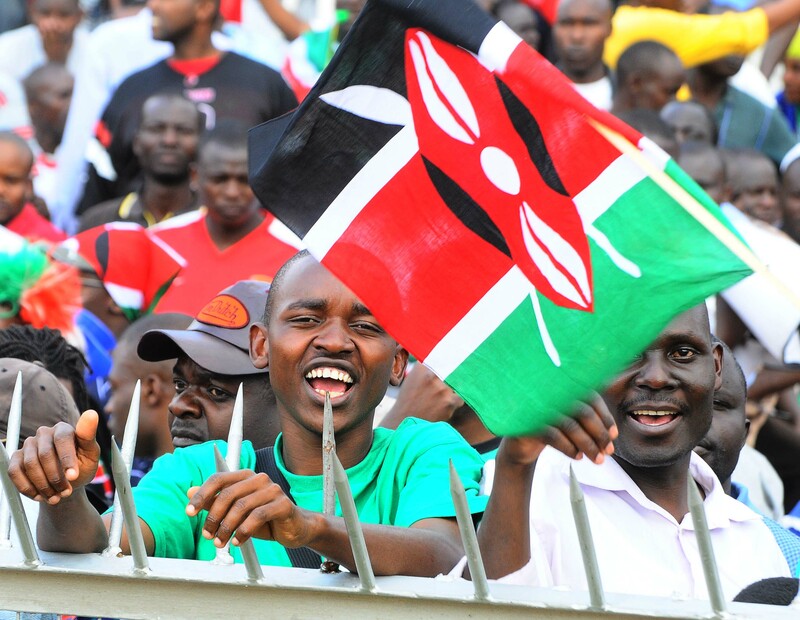 But the Kenyans gave us a definite treat with the arrival of their national team. It was funny but very grand too. In comes with a minibus with fans lying on top, hanging on the windows, jumping of here and there. For a moment, we paused. For a second, we even blew our Vuvuzelas the more in disapproval. Like I said before, every camera was clicking for two faces. Denis Oliech-Kenyan striker who plays for Auxerre in France and McDonald Mariga who does his thing for INTER MILAN .Yes, INTER MILAN in caps. The game was nervy. We had our chances, they had theirs but no one took theirs. 0-0 it ended. 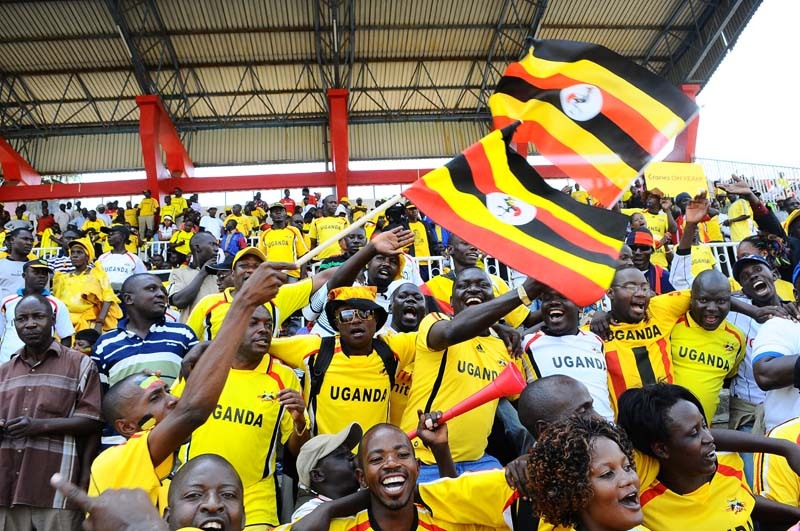 For Uganda, we nailed the one point and now comfortably sit at the top of table. Our neighbours are rooted at the bottom though. -It was tough, tension-packed but the boys stood tall. 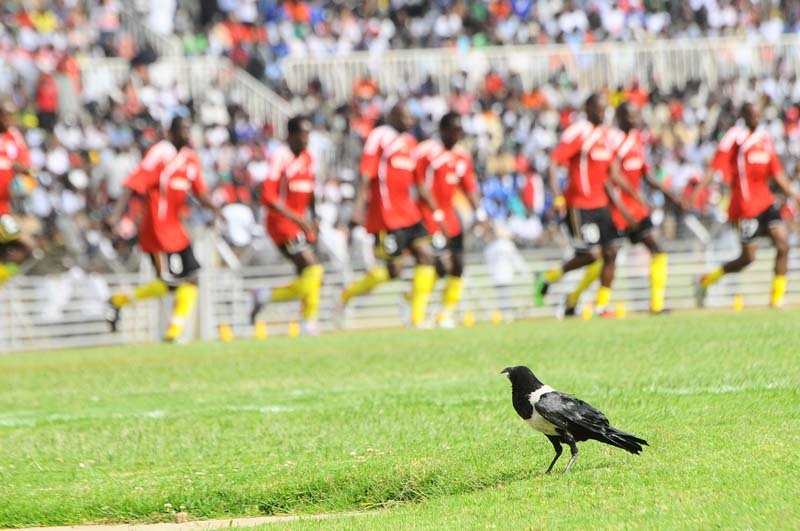 Welll done Cranes. 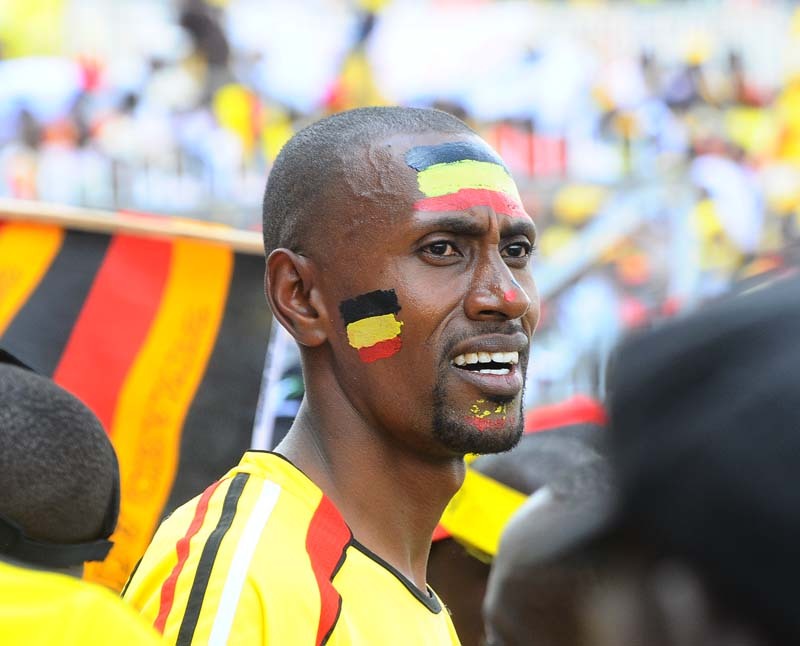 Am sanely proud to be a Ugandan. Am gonna run down Nairobi tonite as I celebrate our independence day-Innocent Ndawula. A good story told through the lens,it is an all rounder and we do not need words to tell this story. I love the work. Great shots and thanks for representing us who stayeed home. The first photo says it all…MURRRRRRRRRRRRRRRRDER! The crow one is just funny! 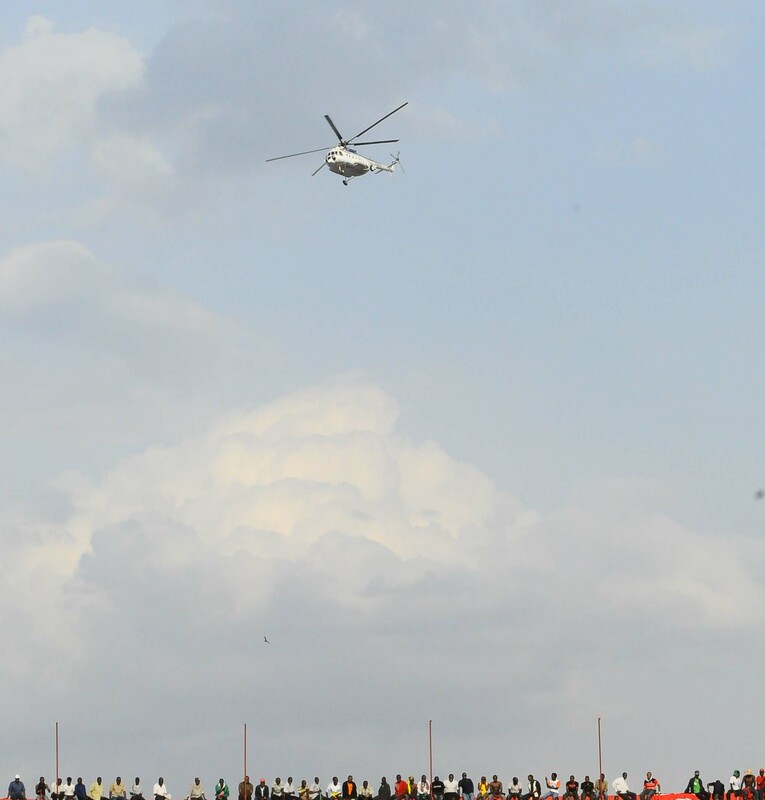 But really I hope there are more photos coming…You were in Nairobi, dude! Tell us some stories not in the papers.